The Reproductive System at a Glance is a comprehensive guide to normal reproductive biology and associated pathophysiology in both sexes. Concise, easy to read, and clearly structured, the double-page spreads progress from basic science to clinical abnormalities, and covers endocrine production and action, within one short volume. Chapters on disorders summarise epidemiology, pathophysiology, diagnosis and treatment. 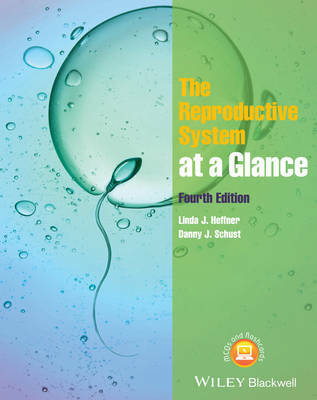 This new edition of The Reproductive System at a Glance : * Is fully revised and updated throughout to reflect recent developments in practice * Now features histological and pathological slides to complement the "at a glance" style explanatory illustrations * Now features radiologic studies to supplement the text in selected chapters * Contains more detailed coverage of maternal adaptations to pregnancy * Includes a companion website at www.ataglanceseries.com/reproduction featuring self-assessment multiple choice questions, bonus single answer questions and flashcards The Reproductive System at a Glance is an ideal guide for students studying both endocrine and reproductive subjects, and teaches the foundation concepts for the obstetrics and gynaecology rotation, helping health professionals and students achieve a broad and practical understanding of the topic.